Welcome to our Rainier Ramblings book club page! Our goal is to provide a forum for stimulating conversation between SWEsters to gain knowledge and share ideas. 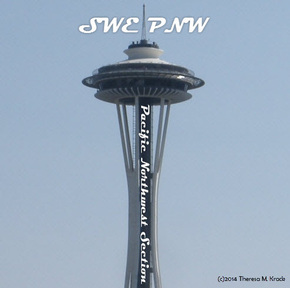 As a club under SWE PNW, we will look at different ways of prompting these discussions - from selecting books, webinars, articles, and/or activities to help us explore various topics through both fiction and non-fiction. Our selections will cover a broad range of topics, from professional development to leisure reading. It is open to both SWE members and non-members. Haven't had a chance to read or watch the selected materials for the meeting? No worries - you are welcome to join us for some great discussions anyway! We hope you'll join us at one or more of our Book Club events! Share book reviews and ratings with SWE PNW Book Club, and even join a book club on Goodreads.